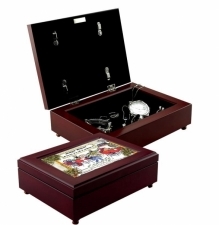 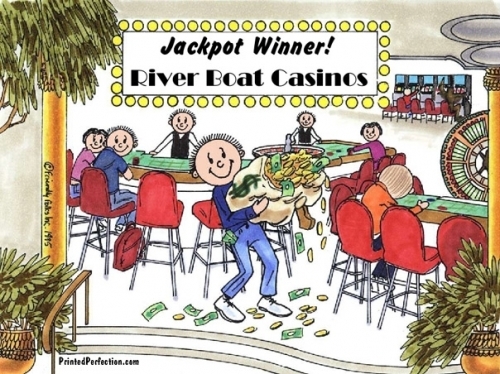 For the occasional gambler, the Las Vegas tourist or the lucky jackpot winner! 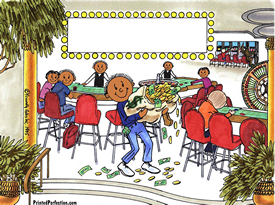 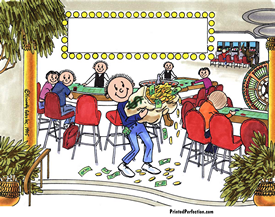 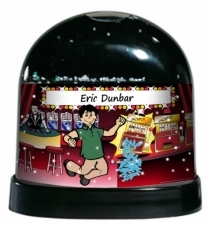 Celebrate his enthusiasm and lady luck with this personalized gambler Friendly Folks Cartoon. 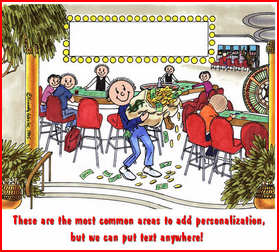 Include any text you'd like to make it unique for him.